*Is it really 'fake' or just 'not original' and where did dial come from. 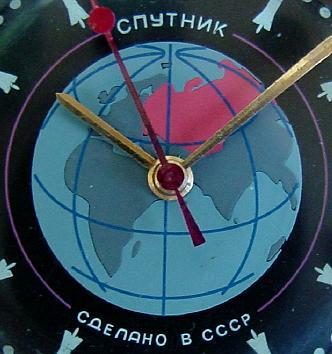 I have read that the Poljot company was going to re-issue this watch in the 1990s. I am not sure if they actually ever did, but in any case the feeling is, they made a batch of dials which had some imperfections, and before they could be destroyed, someone made off with them, and they gradually diffused to the aftermarket fakery shops. This would be a good explanation. I guess I like it better knowing it's a proper watch dial made from a proper watch house. Even if not original, it wasn't made by some expert fakirs in Vietnam. That is of course unless it really was. 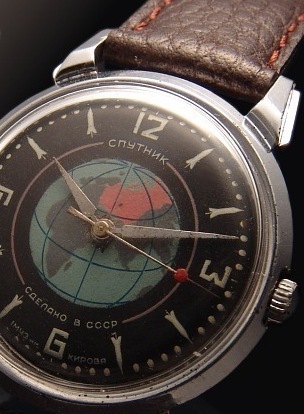 See images of Phill's Russian watches at this site. There is absolutely nothing fake about these men.